There are many benefits to conserving property in NWA and there are many ways to conserve property. 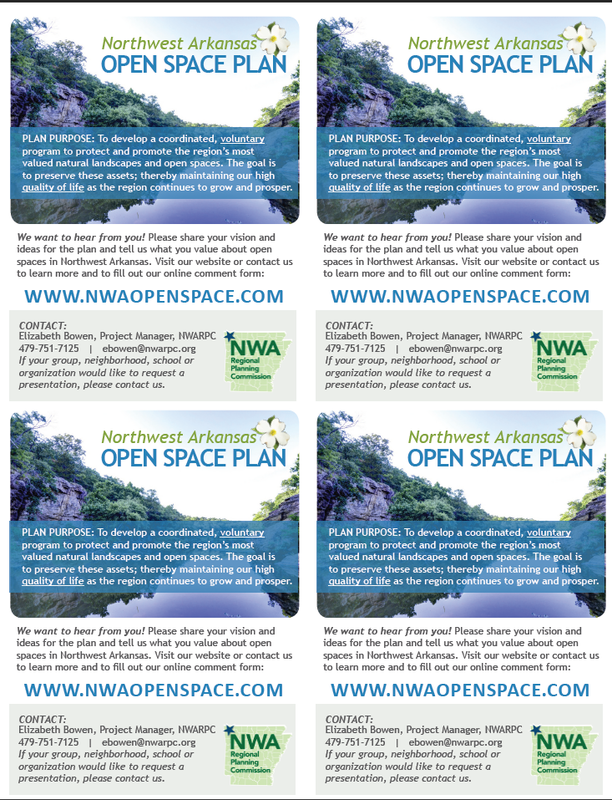 If you would like to conserve your property by donation, easement, bargain sale, or many other ways, please contact Elizabeth Bowen at the Northwest Arkansas Regional Planning Commission at ebowen@nwarpc.org or 479-751-7125 to see what opportunities may be available to meet your conservation desires. The last round of public presentations for the planning process was in December 2015. 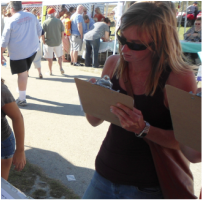 Past rounds of public meetings, presentations and workshops took place in January, June, and September 2015. 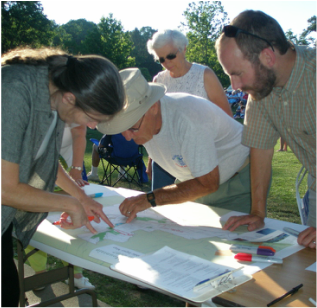 The purpose was for project planners to hear from the public about what they value most in terms of open space, and to provide information on the project purpose, goals, scope, schedule, input received to-date, work completed to-date, and the Plan itself. Please feel free to download, print, and distribute these project information cards at local events, community meetings, and other public places.